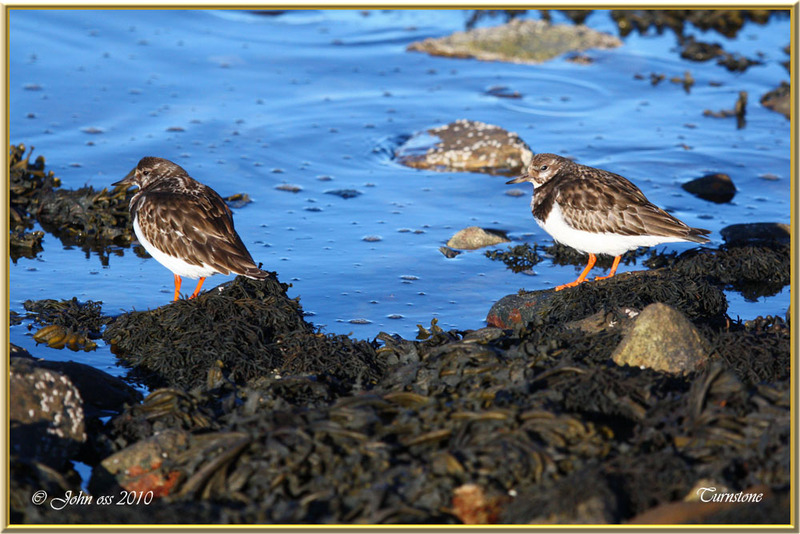 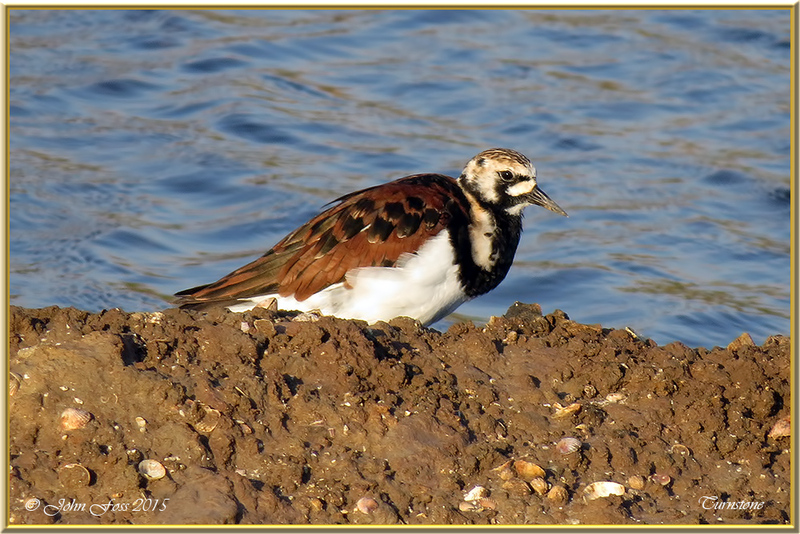 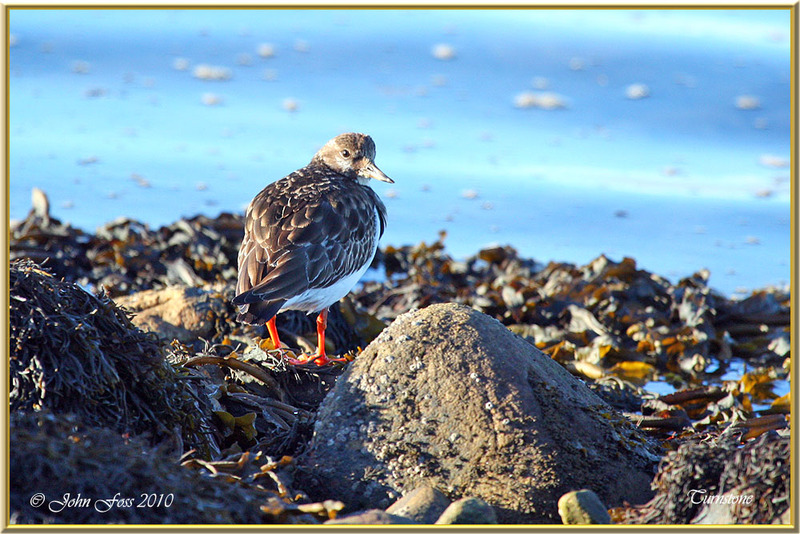 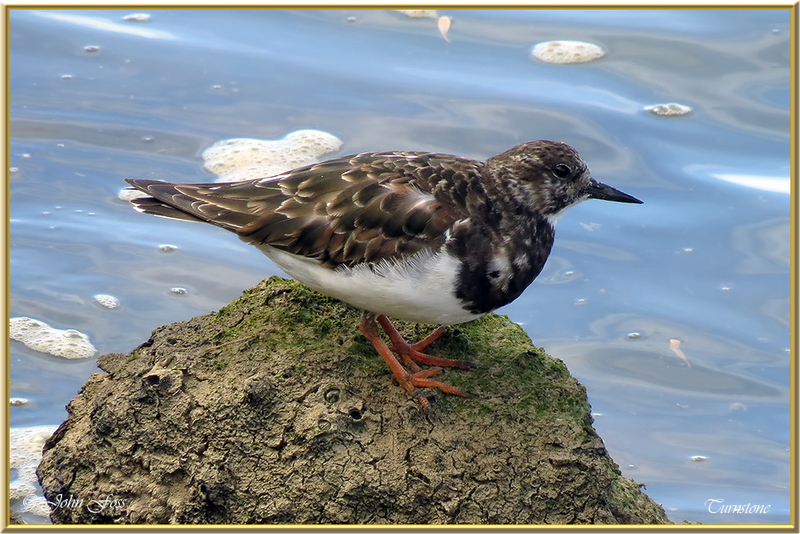 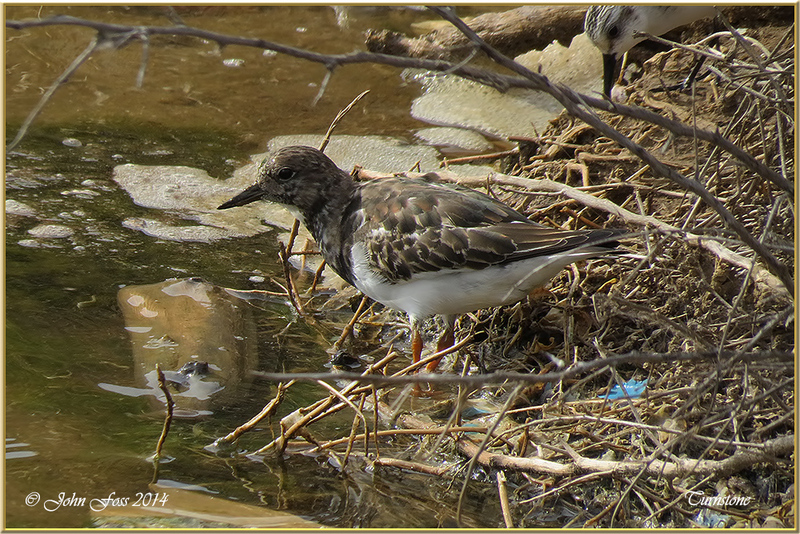 Turnstone - The action of flipping over small stones to find food led to its common name. 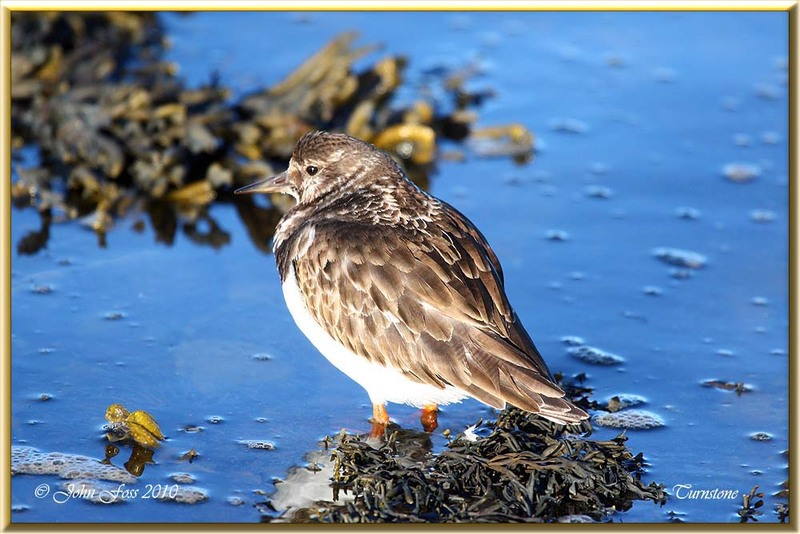 It will take just about anything organic, including insects, carrion, molluscs, eggs, worms, etc. 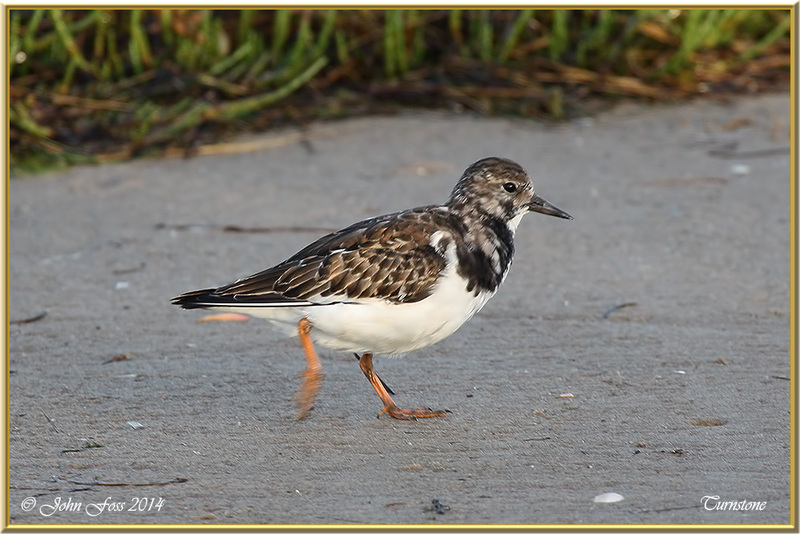 Has very distinctive orange thick set legs. 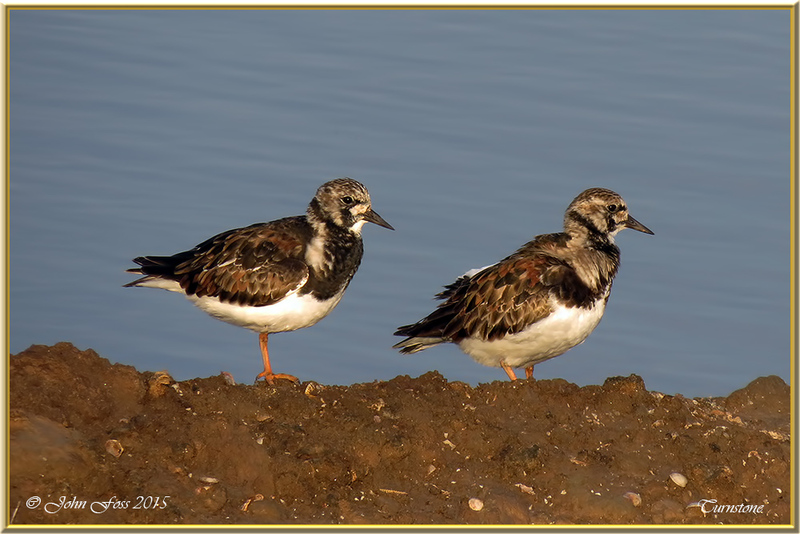 Photographed at Co. Sligo, Cabanas De Tavira and the Alvor Estuary in Portugal.